Finally my Giant Granny Square blanket is finished (aka the fruit salad blanket). It's been sitting around waiting for some edging, and after finding this edging on Attic24, I got it sorted (thanks Lucy). Just as well it's finished to keep me warm in the middle of our SUMMER here in New Zealand. oooh love it. 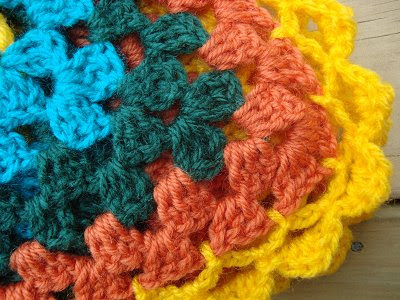 Such a happy granny square! It is so colourful. Fun. Whoa its fabulous! What fantastic colours. Just think how snuggly that will be on a cooler night. far out that is amazing! great accomplishment!! these are the best! can you believe someone GAVE away one of these to me? CRAZY THEM LUCKY ME! I love it, well done you clever girl! Well done!! Thats a massive effort! 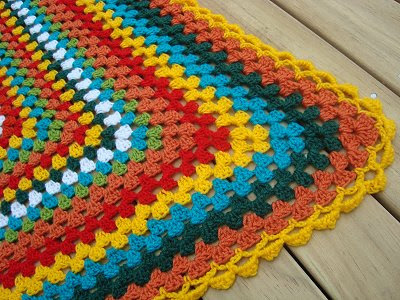 oooooooooo what a delicious looking blankie, so bright and cheerful! 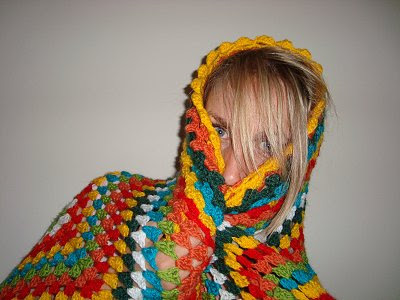 are you wearing anything under that granny square? Soooooooo awesome!!! I love the edges!!! 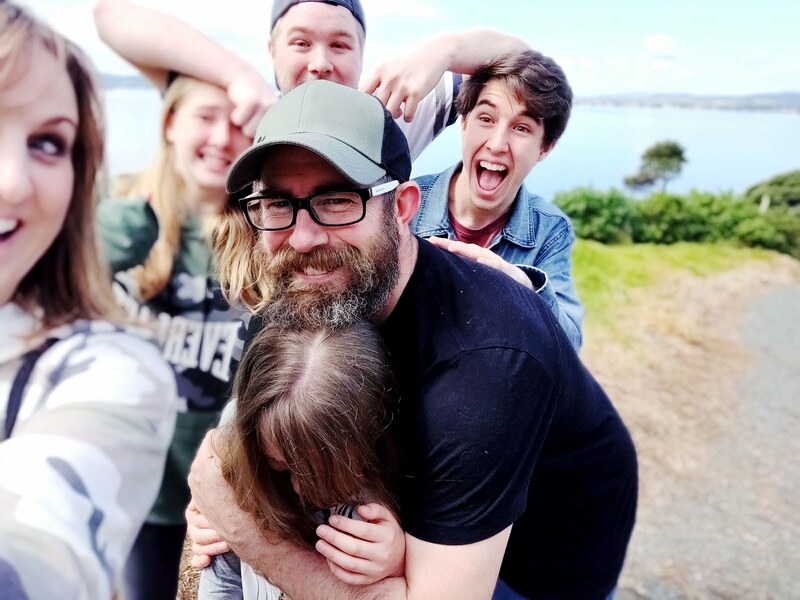 that last photo is awesome! you did a great job on this blanket. excellent choice of edging, too. 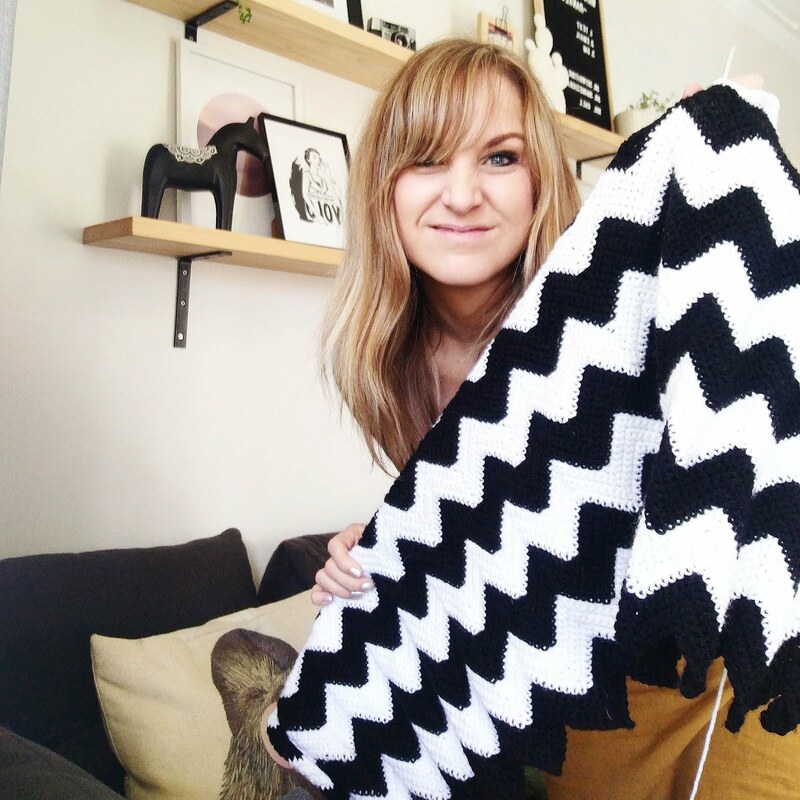 Do you have a trick or tip for keeping your blanket square, rather than it getting wavy and out of shape as it gets bigger?? 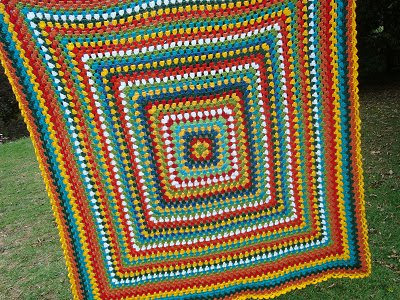 Mine always get too wobbly as they grow so I've never completed one, but really want to make one now. Help?